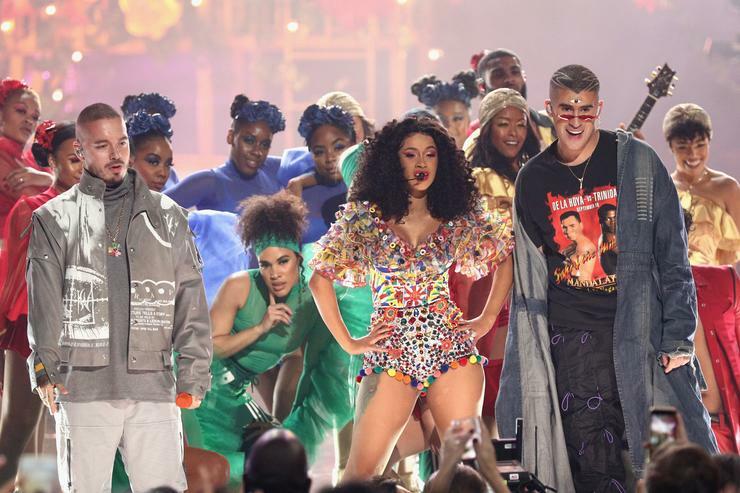 The 2018 American Music Awards just went down at the Microsoft Theater in Los Angeles Tuesday night. Aired on ABC, the “world’s largest fan-voted awards show,” was hosted by Tracee Ellis-Ross and rewarded some of the biggest names in music with some new hardware for their trophy room. However, arguably the best part of the night is always the live performances, and tonight saw no short of that with a ton of stars hitting the stage. Everyone from Cardi B & Mariah Carey to Post Malone & Ty Dolla Sign, all hit the stage and performed various hits from their respective catalogues. That wasn’t all though, Taylor Swift, Carrie Underwood, Ciara, Missy Elliott, Halsey, Khalid, Ella Mai and others all graced the stage throughout the night to perform their hits.